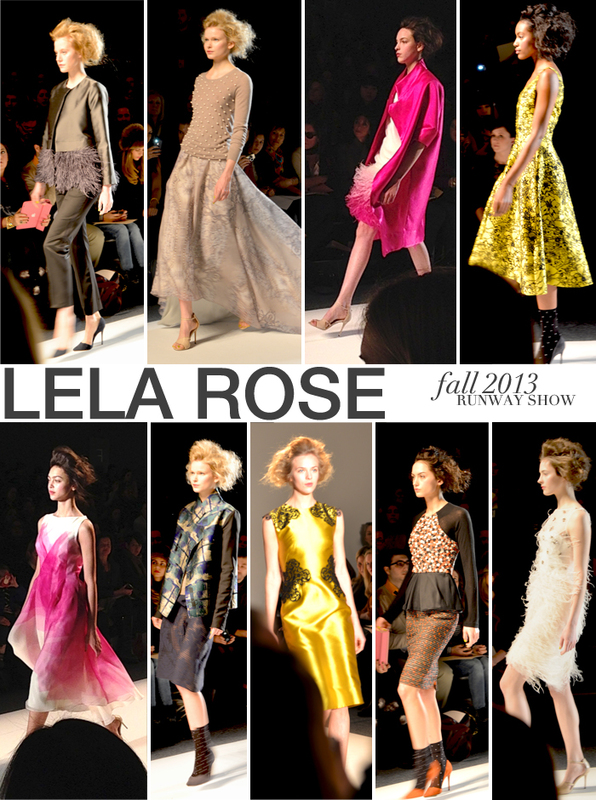 The Lela Rose runway show never disappoints me, and this season is no different. The Fall 2013 collection boasted everything from flirty feathers to bright pops of colors, with a major focus on attention to detail. Her gorgeous frocks are the epitome of ladylike elegance – the fit is fabulous and the designs are timeless. My favorites? The beaded sweater over a trained gown and the ombre feather dress with an amazing pink coat. The Lela Rose show looked amazing. I also cannot get over that beaded sweater- so amazing. I am also seriously coveting those black + orange heels. Thanks so much for your comment on my Delpozo post today. I literally love every single piece they had in their collection… I would love to get to a show this Fall! Your blog is gorgeous- now bookmarked!